Everybody knows this problem. You call a big company with a question, but nobody seems to really want to help. Your experience as a customer is fragmented and depersonalized. Nobody actually “owns” your problem, and each employee you deal with seems eager to move you on to someone else. You get transferred on the phone from one person to another, always ineffectually. Everybody you talk to seems to care only about their little corner of the organization and wants to get you off the phone to rack up the total call-handled numbers. Nobody cares broadly about the whole. Nobody is accountable to you or for you. The case of The Home Depot, described here, is a perfect example of this problem and the consequences of not addressing it. The executives we’ve interviewed about maintaining the founder’s mentality as their companies grow cite one factor more than any other: a tight, intense focus on principles and purpose. Lose the shared sense of nobler mission that animated your insurgency, they all agree, and you lose your company’s soul. This is not a touchy-feely concern. 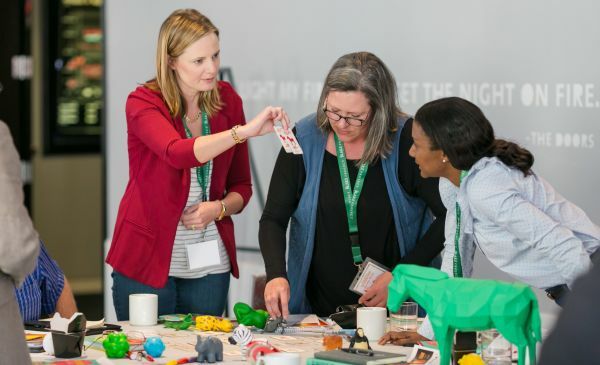 Employee engagement with a nobler mission translates into behaviors that create success externally, because it causes people to go the extra mile for the company, for the customer, or for fellow employees. One study found that engaged employees are 4.7 times more likely than the average to recommend the company to a friend, 3.5 times more likely to make suggestions about how to improve the business, and 3.5 times more likely to take initiative to do something positive that was not expected of them. When some of our colleagues looked at this phenomenon in front-line call centers, they found that the most engaged employees take accountability to a higher level, give out their contact information for follow-up, and demonstrate more empathy toward the customer. Management teams ignore these factors at their peril. The story of Hewlett-Packard, one of the true founders of Silicon Valley, illustrates the importance of these principles and shows what can happen when they are negated. 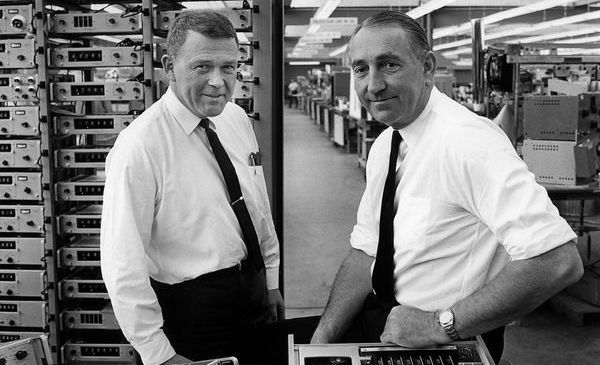 Bill Hewlett and David Packard (pictured) founded the company in 1938 with a very clear idea of the kind of company they were trying to build. He was right to be worried. Four CEOs later, HP’s stock price underperformed the Dow Jones Industrial Average index by about 50 percent during that time. This was not the only reason for the company’s stall-out, but it was certainly an important factor. As the Harvard Business Review said of the company in 2011, “It has lost the ‘HP Way’—the values and behaviors and principles and commitments that made it more than just another company.” That’s the particularly insidious danger of this southward wind: it makes you lose a sense of your mission and direction, and turns you into just another company. Quite an interesting read, quite elegantly highlighted the importance of employee engagement, precisely something that today’s firms need to focus on to sustain their market growth. I would like to add a little more, disengaged employees not only keep the company away from having benefits (mentioned above)of engaged employees but they also at times turn into Brand Saboteurs (1), brand saboteurs are employees who constantly work against the brand idea. Saboteurs spread negative word of mouth, and are often contingent, lower paid workers, who feel like “second class citizens, excluded from the mainstream of the organization” and isn’t that’s how what most disengaged employees define their firm, organization behavior towards them, indeed! Considering the above fact I believe it is really important for companies to take a lot care of their employees, focus a lot more on employee engagement which will consequently lead to more positive interaction between employee and customer. And research has shown that positive interaction between employees and customers can contribute to brand value and organizational performance (2)(3). Hope these little facts will further highlight importance of employee engagement, to BSI readers! 2. Burmann, C. and Zeplin, S. (2005), “Building brand commitment: a behavioral approach to internal brand management”, The Journal of Brand Management, Vol. 12 No. 4, pp. 279-300. 3. Ramani, G. and Kumar, V. (2008), “Interaction orientation and firm performance”, Journal of Marketing, Vol. 72, pp. 27-45.